Prepare hot coals. Season ducklings with salt and pepper. Fill cavities with a mixture of onions, celery and apple. Clip off wing tips of ducklings. Run spit through birds lengthwise, catching the bird in the fork of the wishbone. Cook on a rotisserie until tender – about 2 hours. Brush with a mixture of sherry, soy sauce, ginger and lemon juice during the last half hour of cooking. This sounds tasty. 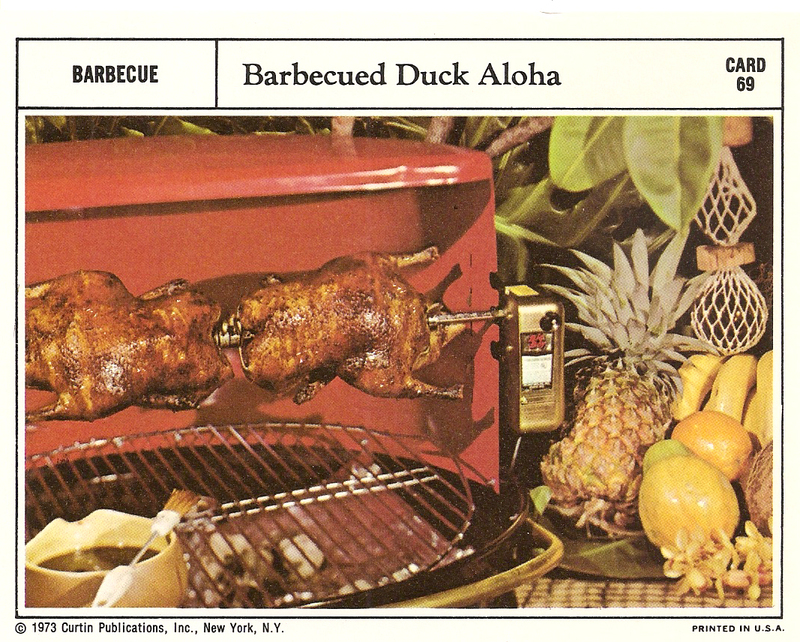 Time to pull out the old rotisserie grill!